One of the things I’ve noticed about binary options is they’re not exactly budget-friendly. I come from the online gambling world. Do you know what the min deposits in that realm are like? What’s more is you can play for cheap. $1 for a blackjack hand. 1 penny per spin on a slot machine. A nickel to play a round of video poker. But that’s not the case for binary options. Most brokers require larger deposits of $200-$300 and trades of $15-$25. But the larger requirements cuts out a chunk of people who would like to get in on the action, but just at a lower threshold. I got good news for you, though – brokers with low min deposits do exist. Our list of the best brokers are below, followed by 4 tips to help you get more bang from your buck. The following brokers all have min deposits of $100 or less. These are the cheapest (and safest) options you’ll find online. Markets World – They have a $20 min deposit. You can also sign up and use their (truly) free demo account. Cherry Trade – Their min trade is $5. This isn’t the greatest example since their min deposit is $200, but compare them to GOptions who has a $200 min deposit and $25 min trade. 1. Find a broker with a small minimum trade. Along with large minimum deposits, most brokers require you to trade relatively substantial amounts of money too. It makes no sense to me to deposit $20, $50 or $100, only to have to make minimum trades of $20 or $25. After one or two trades you’d be broke. It makes more sense to find a broker who will let you trade $1, $2 or $5 per contract. You’ll get more out of every deposit that way. Markets World – Theirs is $1, which is five percent of their minimum deposit. 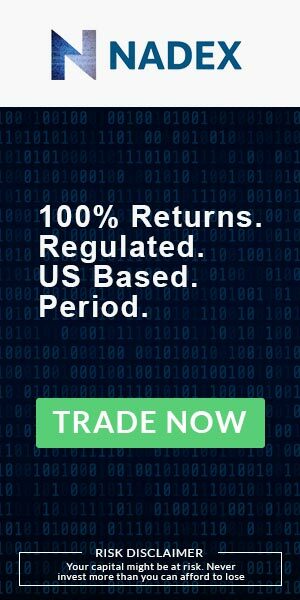 Cherry Trade – Their min deposit is $5. This isn’t the greatest example since their min deposit is $200, but compare them to GOptions who has a $200 min deposit and $25 min trade. You can also check out our page dedicated to low min trade brokers. 2. Don’t take the bonus. Assuming you’re even qualified to get a deposit bonus (these are often reserved for traders who deposit enough to get into one of the special account tiers), I suggest not going for it. I know it’s going to seem like a good idea since you can double your money and have more to trade with. You have to remember the deposit bonus terms will ask you to wager 20-50x your deposit and bonus. For example, say the rollover is 30x and you deposited $50 and got a $50 bonus. So you’d have to wager $3,000 BEFORE you could cash out. The odds of you doing that are slim on $100. That’s the truth. The one exception to this rule is if you’re not planning to cash out any time soon – the money you deposit is just to play and lose with – AND you plan to deposit more money later or give up when you lose. Then take the deposit bonus, because at that point, who cares. But if you want the option to cash out your money you should pass on the deposit bonus. 3. Does the broker have different account levels? Pay attention to the first 1-2 tiers. Some brokers offer different account levels. Each level will have perks like deposit bonuses, cash back, tool access, strategy sessions and so on. The more you deposit the higher your account status, thus the more stuff you get. One thing I’ve noticed about some brokers is the difference between their min deposit and their first account level is only $50 or $100. I understand if you’re on a budget and a $50 or $100 difference is a big deal. I get it. But if you can make up the difference, you should. Because the value of a free withdrawal or two, a bit of cash back or strategy session will far outweigh the little bit extra you have to spend to get it. 4. Two things to know about banking. There are a couple of things to know about banking. One – you should pay attention to any fees you might have to pay. Most brokers aren’t going to charge you anything to deposit. But sometimes there will be a 3-5% fee to run your credit card. When you’re depositing $20 or $50, this is like giving up one or two trades – just to pay your fees. Two – You’re not going to be able to deposit with anything other than credit and debit cards or e-wallets. Most brokers won’t let you use a wire transfer. And even if they did, they’ll charge you a fee if you transfer less than $500 or $1,000 (around $25-$50). So your best option is to use an e-wallet, followed by plastic. And you should make sure (using our reviews) it won’t cost you anything to make a deposit.